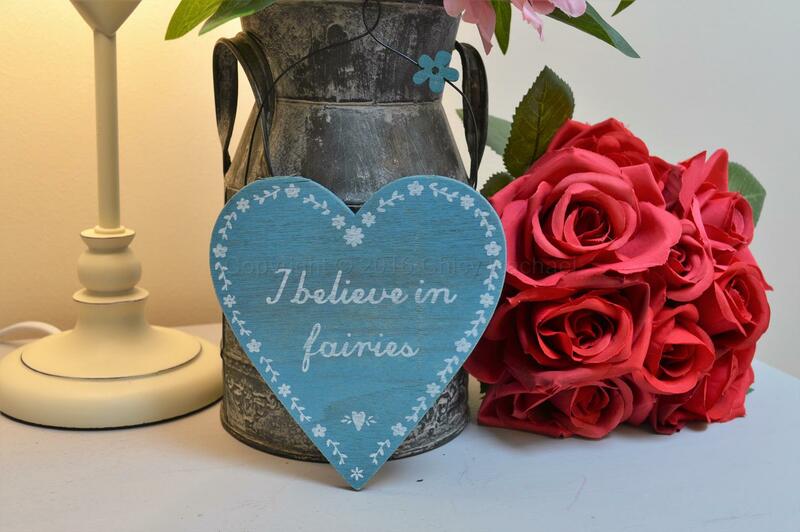 A delightful heart shaped hanging plaque in a rustic teal with an intricate floral pattern around the edge with the wording “I Believe In Fairies” in an off white. It has a thin black wire for hanging and a little wooden flower. This sign would make a great addition to any little girl’s bedroom bringing some fairy magic. 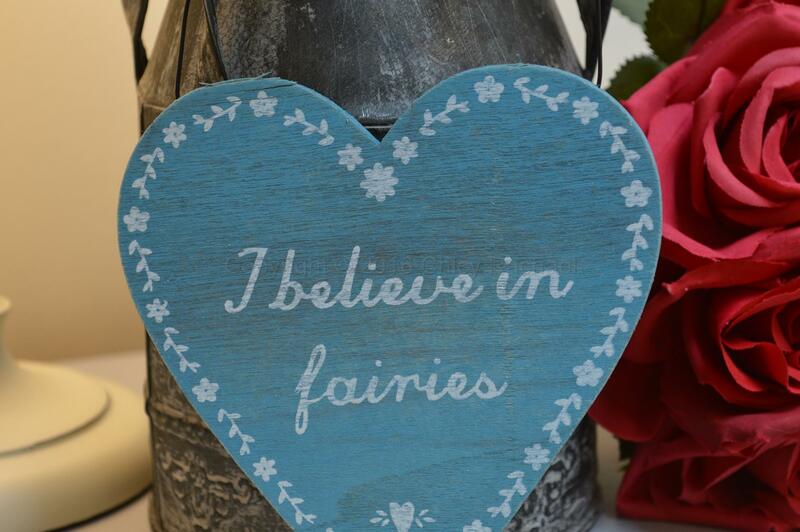 A lovely gift for any fairy lover.